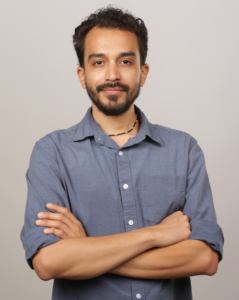 Michael Reyes Salas is currently a fifth-year doctoral candidate in the Program in Comparative Literature at the University of Texas at Austin. Born in Southern California, he is a proud descendant of Mexican immigrants. His itinerant upbringing took place in several cities within the San Gabriel and Pomona Valleys of Los Angeles County, San Bernardino County, as well as various years between Veracruz and Jalisco. His research is in comparative literature, African diaspora studies, and 19th century and contemporary prison narratives. The current project he works on places together a transnational group of queer racialized writers to build a comparative archive of prison literature which attends to how these authors place their practices of public memory in conversation with the institutional memories of carceral entities.